An open in the speed sensor signal circuit continues for 0.5 seconds or more. 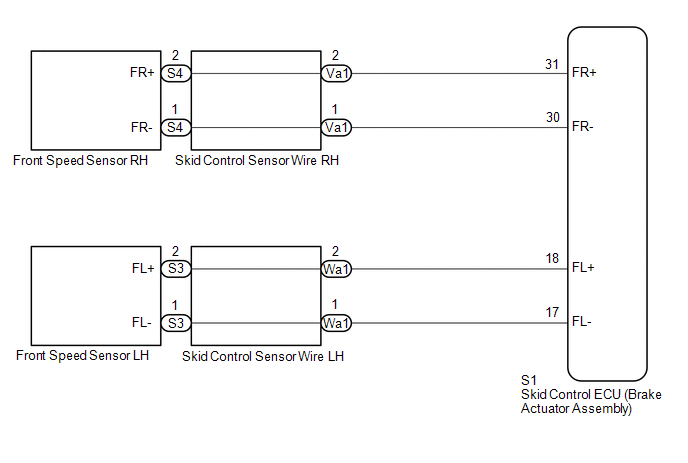 With the +BS terminal voltage at 9.5 V or higher, the sensor power supply voltage decreases for 0.5 seconds or more. 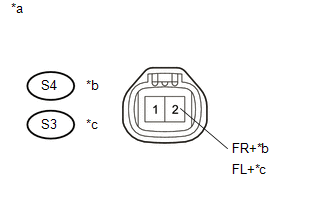 (c) Disconnect the S1 skid control ECU (brake actuator assembly) connector and the S4 and/or S3 front speed sensor connector.